When you have a baby, whether it’s your first time or not, you will have a multitude of people telling you what you ‘should’ do. For example, there is always someone who will insist that you need a sleep schedule for your newborn baby. This is typically the older generation (sorry, but it’s true), including your own mom and mother-in-law. They did things a certain way and therefore believe that that is the only way to do it. But every single baby is individual, and so is every mother. 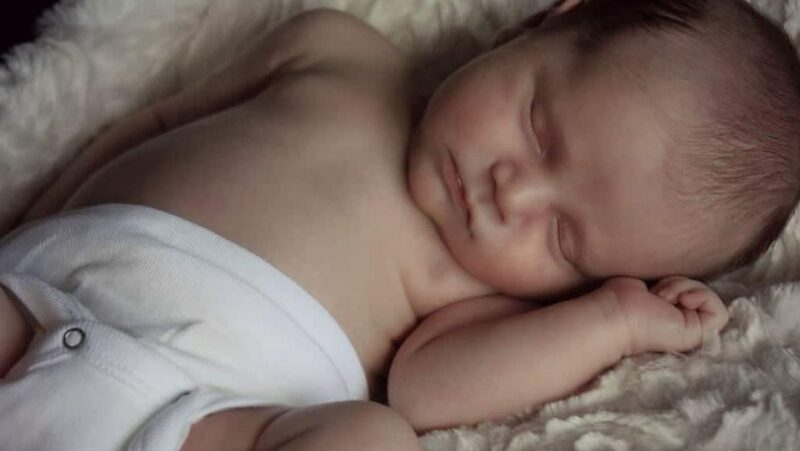 One of the most common myths, and one of the biggest stumbling blocks most mothers come up against when talking to those around them, is that newborn babies must have a sleep schedule. If you don’t get your newborn on a sleep schedule ASAP, they’re going to run your life. So they say. Your newborn doesn’t necessarily need a schedule, and there are many reasons why it is actually counterproductive to do so. Routine or Schedule – Does it Matter? The thing is, there are differences between routines and schedules, and one is probably going to work out better for your baby than the other. A routine is a set of events or behaviors that become, well, a routine! For instance, you bathe your baby, feed them, and they go to bed. When they naturally fall into that routine, it becomes comforting to them, and it’s often the case that they will sleep better. This is because the clues that sleep time is looming, e.g. a relaxing bath and feed, means they start to wind down in their own time, not in a forced manner. A routine can be fluid, e.g. the times not necessarily matter, but the events leading up to it do. A schedule, on the other hand, is a little more forced. A schedule is a plan, and it has a time, as well as a series of events. E.g. bedtime is at 7 pm; bath time takes 10 minutes, feeding takes 10 minutes, then bed. It is more regimental and has less room for fluidity. So which one is better to have – a routine or a schedule? Precise sleep times should not matter quite so desperately. If you don’t get your baby to sleep for bang at 7 pm, what is the real problem? It’s really more about a general time, not a set time, and for that reason, routines are a better route than a schedule. Let’s check out some further reasons why you don’t need a sleep schedule for your new addition to the family. We’re going with the time of 7 pm as a general number, but who actually says that 7 pm (or 8, 9, whatever you believe) is the time a baby should be asleep? Does something happen if they’re not asleep by that time? It’s far better to listen to your baby than listen to someone who goes around telling other people that babies should be asleep by a set time. 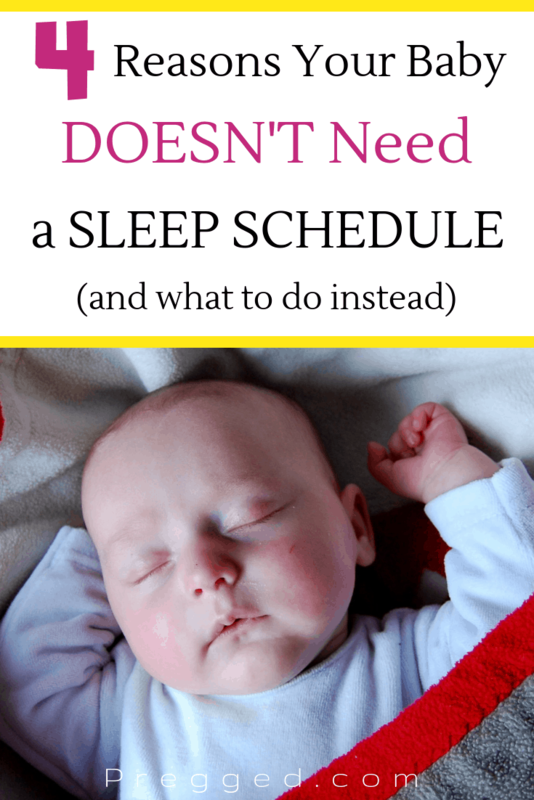 Of course, that doesn’t mean you should have your baby up at all hours, but they’re going to naturally fall asleep at a good time if you get them into a routine, not a schedule. Stick to the events, and create a mental note for your baby, and you’ll find that the natural nodding off procedure happens on its own accord. The problem with schedules of any type is that if they don’t work out completely right, there is a tendency to become stressed out about it or feel like you’ve failed. A baby is not going to fall asleep just because you say it’s time to do so, and that means there is a high likelihood that your schedule is going to fail on quite a few nights per week. Getting stressed out because your schedule is out of whack is just going to make you feel under pressure and your baby is going to pick up on it. On the other hand, a routine is a more laid-back version of a schedule in many ways. If the time doesn’t work out, it doesn’t matter, because it’s only going to be a slightly out on either side. The events are totally in your control, e.g. bath, feed, bed. You can’t control time, you can only control what you do. 3 – A Baby Will Only Sleep When They Are Tired, Not When You Tell Them to! We touched upon this slightly, but newborn babies are quite stubborn little things! They are not going to fall asleep simply because you tell them it’s time to, they only fall asleep when they’re tired. Think about the times you’ve tried to go to bed early and you weren’t really that tired. Did you sleep well? No! Did you fall asleep straightaway? No! Your baby is the same, except that they haven’t developed the art of patience yet, and they’re simply going to lay there and cry getting themselves heated up – as well as you. 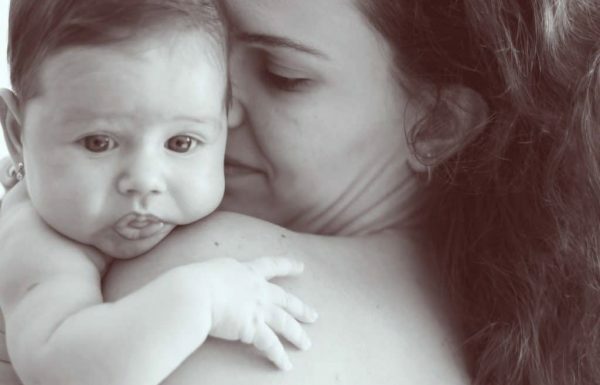 Again, the routine option is far better, because you are creating a series of events which teach your baby that it’s time to start winding down. They don’t consciously know this, but the relaxation of a bath and feed (or whatever your series of routine events are) will mentally cue them into sleep time. It’s actually a clever way into tricking them into being tired! Our final reason is quite an important one. When you design a sleep schedule, you’re not really working in alignment with some of your baby’s most important developmental milestones. Many of these milestones affect sleep patterns. A baby’s sleep and wake ups are both affected by things like growth spurts and developmental milestones. These things disrupt sleep on a regular basis, so if you’re forcing sleep to happen at a set time, you’re also disrupting these normal milestones to some extent. It sounds complicated, but the truth of the matter is that Mother Nature will have her way. That means your baby will be waking up sometimes and that is normal. When they’re a little older they’re going to be fussy when they sleep due to teething, and these are milestones which need to happen in order for proper development to take place. So, to sum it all up, it’s really more about routines than sleep schedules, no matter what anyone tells you.